1000 physicists, engineers and technicians. Our research staff includes about 70 Professors and Dr. Hab., as well as over 120 PhDs. 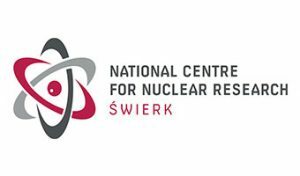 We have been established in 2011 as a result of merging the former Institute of Atomic Energy POLATOM with the former Andrzej Sołtan Institute for Nuclear Studies, both with traditions back to 1955. NCBJ pure/applied research profile combines nuclear energy studies (nuclear power safety, research reactor technologies, medical applications etc.) and various fields of physics (mainly elementary particles, nuclear physics, hot plasma physics and astrophysics). from running several previous research reactors and critical assemblies. Task 2.1. State of the art Literature review of activities across Europe. Identification of regulatory and technical scarcities regarding the different study cases plans. Identifying the current methodologies and market design applied in the cross-border coordination e.g. against the unscheduled flows. Task 2.4. Determining technical shortfalls from detailed simulations on EU system. Design of the methodologies of cross-border actions (Optimization of PST, XBR and MRA in order to minimize the total cost of remedial actions in the region) and cost sharing methodologies based on the unscheduled flows analysis and methods stemming from the game theory. Task 4.1.2. Implementation of the NCNR Cross-border coordination plan and cost sharing methods. To prove that the Cross-border coordination plan, defined and developed in the WP3, can be implemented in the reality, using results from real system simulations.